Ageless Kiss is a dietary supplement intended for women. It’s marketed by a company called Raw Synergies. Although the company has an official website, the site does not provide any company information or state where the pills are produced. Nor does it have a contact form and the fact the company does all its selling via Amazon makes it even harder to discover who runs it or where it is based. Claims: To give women complete female optimization. Weight loss, antioxidant, skin care, thyroid – all taken care of with the formula. Positives: Some good ingredients used in the formula. Negatives: Nice idea – but supplements that are designed to do too many things end up compromising on the benefits. What Is Ageless Kiss and How Does it Work? The marketing material makes Ageless Kiss sound like a wonder pill for women that provides numerous benefits, some of which have nothing to do with weight loss. There are so many claims being made for this product, the best way to move forward is to take a look at the ingredients and see what they are capable of doing. Sensoril (250mg): An ashwagandha root extract that’s been added to control the appetite and relieve stress. It’s not normally used as a hunger reducer, but providing stress relief is just one of many things ashwagandha is alleged to do. Cognizin (150mg): A citicoline provider that’s often added to nutropic supplements and appears to have the potential to offer hope to the cognitively impaired. Careless Mango (100mg): A mango fruit preparation. Mango is a healthy ingredient with a good reputation for helping people to lose weight. MicroActive (100mg): Provides a grape extract called resveratrol that may be good for warding off some age-related diseases. Spectra Antioxidant Fruit Blend (100mg): A blend that mostly consists of fruit extracts, including apple and acai, but it’s even got some broccoli and carrots thrown in for good measure. In fact, there are over 20 different extracts involved, all of them provide antioxidants, and antioxidants help protect the body from disease. They are also believed to prevent premature skin ageing, but people who eat more fruit and vegetable per day, as part of a healthy diet, would likely obtain superior results. Paradoxine (50mg): A ginger extract that may have value as a fat burner. There’s not a lot of proof that it woks, but the results of one study suggest that it might. Cocoabuterol (50mg): A patented cocoa extract. The manufacturer alleges it boosts energy, burns fat, improves the mood, and provides other benefits, but the official Cocoabuterol website fails to provide any proof that it works. Usage Instructions – New users are advised to take one capsule, two times per day, with meals. If there are no tolerance issues things change slightly from day thee onwards because two capsules are required once per day. Taking the capsules on an empty stomach should be avoided and they should never be taken within four hours of bedtime. Amazon.com has a lot of customer feedback and most of it appears to be good. However, there is a suspiciously large number of 5-star reviews that contain pictures and one even has a promotional video. This is not normal reviewer behaviour and may indicate feedback tampering. The Ageless Kiss marketing material doesn’t mention if any side effects have been reported and the bottle fails to provide a health advisory. However, this is a diet pill sold by a company of unknown origin and there is nothing to indicate where the product is made. This is a worry because it could be anywhere at all and there is no way of knowing what kind of health risks it’s use may present because the supplement manufactures in Asia and other areas of the world are not subjected to the same rigorous standards as those imposed on manufacturers in the UK and USA. A product of this nature is best avoided and should certainly never be used without the prior approval of a GP or other qualified medical professional. Raw Synergies do all their marketing via Amazon.com and don’t ship to the UK. It’s not possible to buy Ageless Kiss from the Raw Synergies website because it does not have a shopping cart facility. Only a button that says “Buy Now on Amazon”. In general, we are not keen on supplements that are intended to be all things to all people. Women who wish to lose weight would be better off buying a diet pill that has a good reputation for doing what it’s supposed to do. Those hoping to improve their beauty or look younger may be better of searching for something produced by a respected beauty product supplier. There are plenty of anti-ageing supplements and no end of nootropic supplement options available as well. Some of the ingredients in the Ageless Kiss formulation may be able to provide certain benefits that are similar to the ones the product is intended to deliver, but there is no way to be certain the ingredient profiles is accurate when dealing with supplements that have an uncertain origin. Feedback for the product does seem to be good, but it appears to be a little too good and may not be reliable. The lack of a guarantee is also a problem, so anyone thinking of buying this product may want to think again. 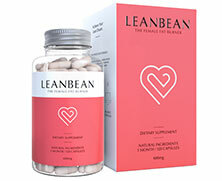 If your main concern is weight loss and specifically female weight loss the we would suggest LeanBean. LeanBean has been designed exclusively for women. It contains some powerful fat burning yet natural ingredients. The ingredients target the reasons for weight gain and offer support to balance hormone levels. LeanBean has a long 90 day money guarantee and is highly recommended.